“If you believe we should expand Social Security and protect a woman’s right to make her own health care decisions, join us,” she stated. Clinton concluded her talk by noting that the world is watching, and wishing God’s blessing on her supporters and the nation. 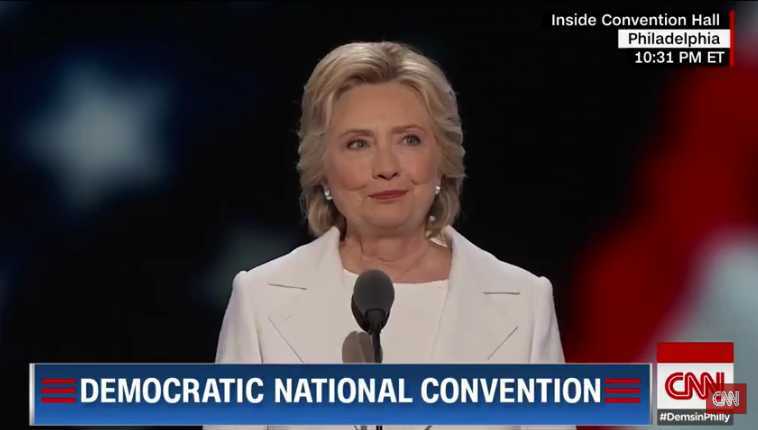 “Thank you and may God bless you and the United States of America!” Clinton declared. Her daughter, Chelsea, had also referenced homosexuality and abortion during her introduction of her mother, drawing applause. “And who knows that LGBT rights are human rights,” Chelsea Clinton continued. As previously reported, Donald Trump likewise addressed homosexuality in his acceptance speech, telling those gathered that he would work to protect homosexuals if elected. “As president, I will do everything in my power to protect LGBTQ citizens from the violence and oppression of a hateful foreign ideology,” Trump declared, being met with applause.